The former Soviet president regrets the collapse of the USSR and says only economic ties can now unite former republics. 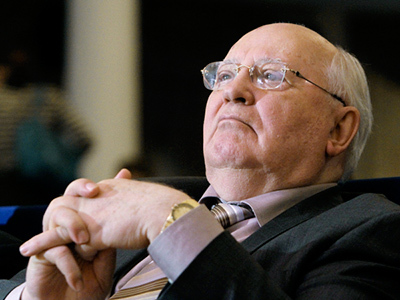 ­Like many people, Mikhail Gorbachev regrets the disintegration of the Soviet Union, but he believes it is impossible to restore the country. 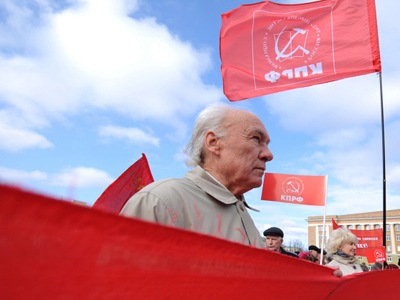 “The republics were not satisfied with the USSR,” the ex-president told Itar-Tass on Tuesday. He added that he had long supported the unified economic space of the former Soviet republics and proposed it while he was the country’s leader. During preparations of the union treaty 20 years ago, dozens of relevant draft agreements were developed. “The unified economic space was not going to be a state but a union of states, and there would have been an institute like the European Union, actually,” he argued. 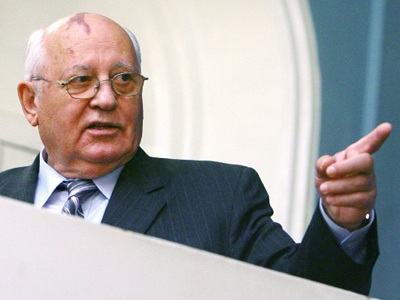 Gorbachev hailed the current Customs Union of Russia, Belarus and Kazakhstan, which will be fully effective on January 1, 2012. But he added that this union is incomplete without Ukraine. “These four states have 80 percent of the Soviet Union’s potential,” he noted. The former Soviet leader admitted that he had not understood immediately on August 19, 1991 that a coup of hardliners in his government was “the beginning of the end” of the USSR. The signing of the union treaty was scheduled for the next day. However, his political opponents could never win, be it in the halls of the congress of people’s deputies or during the three day putsch, Gorbachev said. “Politically, they failed,” he said, adding that “the people had understood a lot by that time.” The army “refused to storm,” and the troops were withdrawn from Moscow. 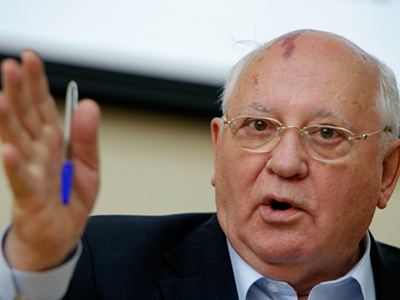 But the organizers of the coup complicated the situation and undermined his authority, Gorbachev said. In an interview with Spiegel on Monday, Gorbachev said that 20 years ago, some republics wanted to see a union of states, while most republics supported a unified state with elements of a confederation. The former president admitted that he started reforming the Soviet Union too late. Find out more about the Soviet empire, which came to an end less than half a year after the coup attempt.